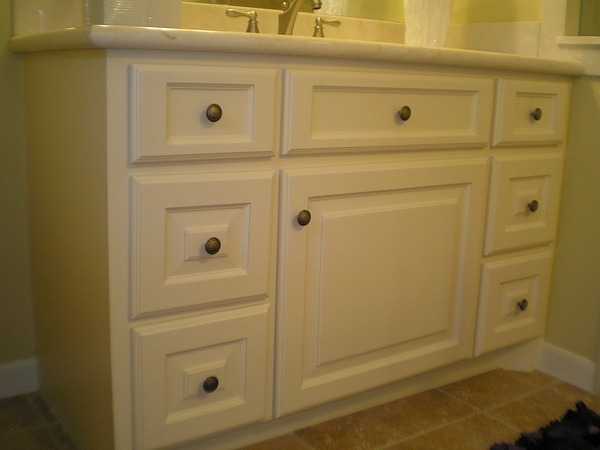 Free Estimates and No Trip Charge. 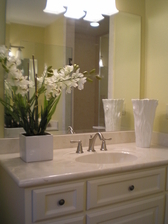 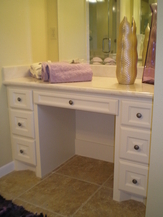 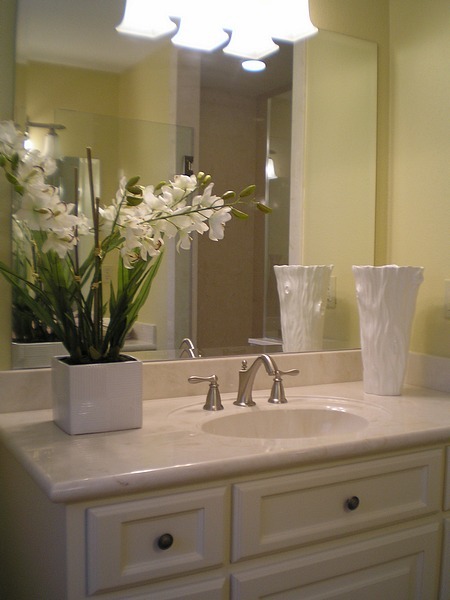 In this home remodel project we renovated two bathroom vanities. 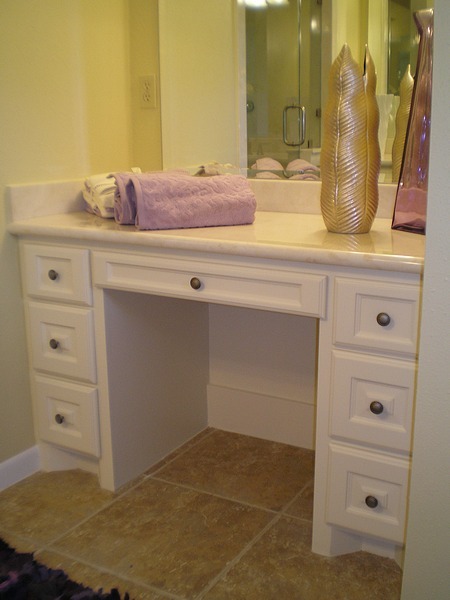 This bathroom remodel required that each bath vanity be renovated. To complete this bathroom remodel the cabinets were refinished and painted and new drawer knobs added. 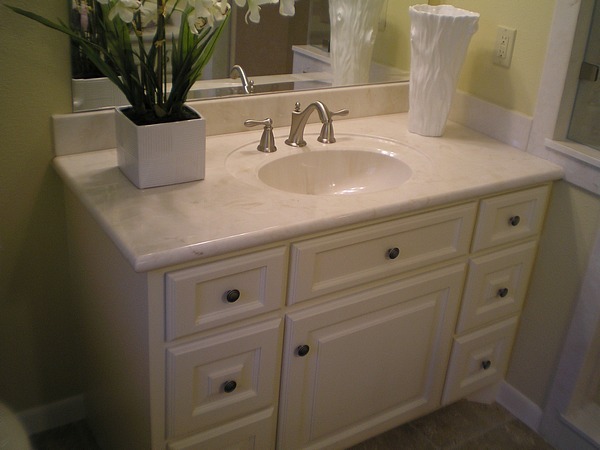 Solid surface countertops were furnished and one set of sink hardware installed. 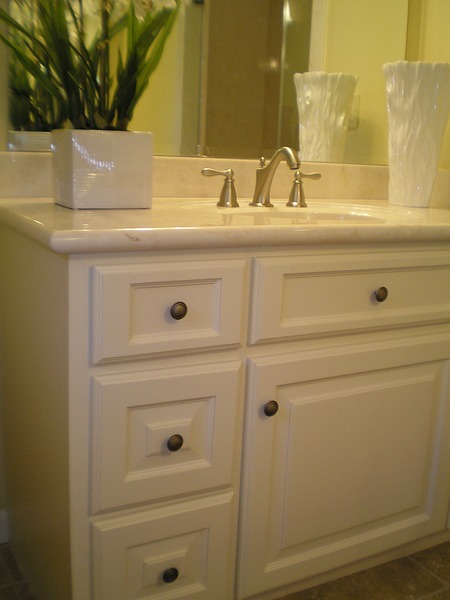 Each vanity also received new lighting fixtures. Finishing this bathroom remodel was the laying of new floor tiles and the painting of the walls and ceiling. 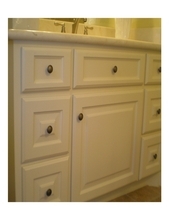 The new cabinet hardware can be seen in this home remodel photo above. 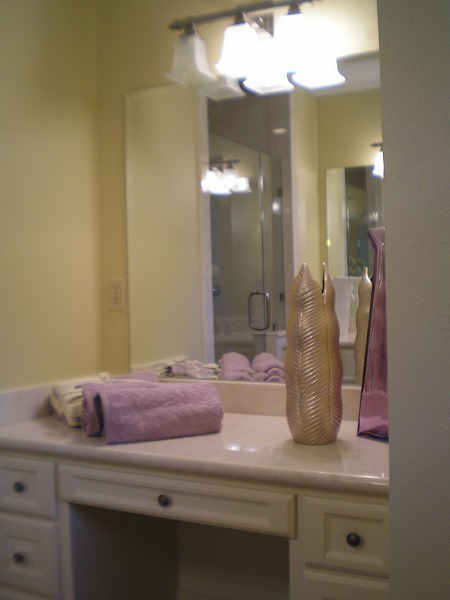 This home remodel consisted of the renovation of two vanities, installing new floor tile and repainting the walls and ceiling.